Many people in the UK suffer an accident in the workplace every year which results in a personal injury and, as such, they make accident at work claims. Employers have a legal obligation to provide their employees with a safe working environment, competent co-workers and the necessary equipment and training to be able complete their work safely without risk of injury. Unfortunately, many workplace accidents result from an employer’s negligence of these factors and, if you’ve been a victim of such negligence, you may be able to make accident at work claims. This scenario may sound familiar if you have suffered an accident at work as a result of something which was not your fault. If that is the case then please do not hesitate to contact AYB Law today. We have a team of experienced personal injury lawyers on hand to deal with workplace accident claims and you may find that you are in a position to claim accident at work compensation after your injury. AYB Law has an excellent success rate when dealing with accident at work claims and will ensure that a personal injury lawyer with relevant experience and expertise is assigned to your case. 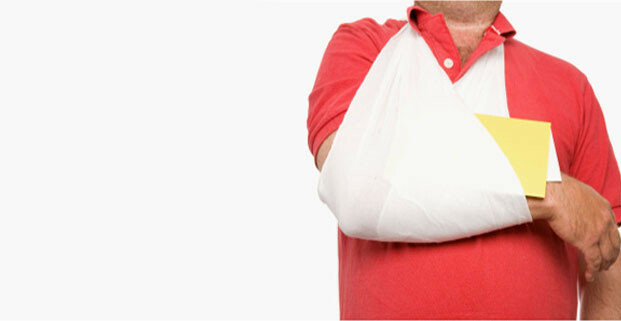 We guarantee our accident at work claims clients that we will get them the maximum compensation your claim deserves. Workplace accidents can have a significant impact on you and, by making a claim, there’s a good chance you can be compensated for any personal injury that occurred as a result of an accident and lost earnings if injuries prevented you from working. If you have suffered an injury at work that could have been prevented then do not hesitate to contact AYB Law today and let us help you. With years of experience in handling accident at work claims you can rest assured that we will deal with your case in a professional and timely manner.